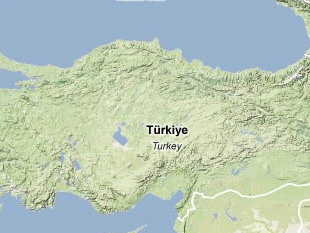 At 380,000 metric tons, Turkey has some of the world's largest known thorium deposits. These deposits are located near Beylikova-Eskişehir in Central Anatolia. However, no country currently operates a commercial thorium-U233 fuel cycle—India is the closest to doing so, but remains in the early phases of its "three-stage" program. Mining the thorium will therefore remain commercially unattractive for Turkey in the near-term. "World Distribution of Uranium Deposits: Turkey," International Atomic Energy Agency, nucleus.iaea.org; Franz J. Dahlkamp, Uranium Deposits of the World: Asia (Berlin: Springer Reference, 2009), pp. 395-396. Dundar Renda, "Radioactive Minerals and Nuclear Fuels in Turkey," in Radiation Safety Problems in the Caspian Region, eds. Mohammed K. Zaidi and Islam Mustafaev (Dordrecht, NL: Kluwer Academic Publishers, 2004), pp. 85-88.